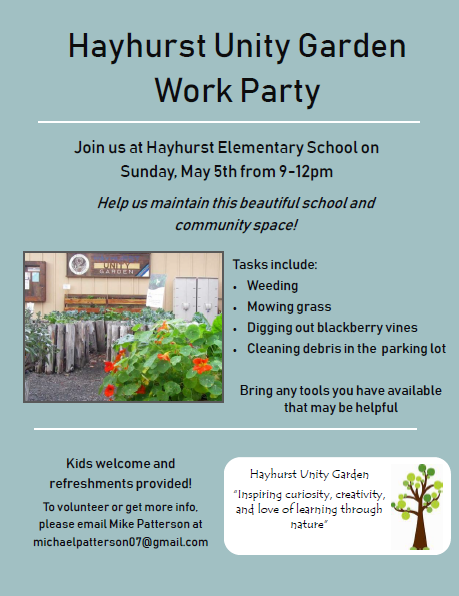 Tasks include: weeding, mowing grass, digging out blackberry vines, and cleaning debris in the parking lot. Kids welcome and refreshments provided! To volunteer or get more info, please email Mike Patterson.